Home > Compare Stock Trading Accounts and Brokers > Is That Share Worth Buying? When investing, there are several ways to select the stocks to buy (or sell). You could listen to ‘Old Bob’ down the Dog and Duck: he used to work in the stock market, when business was still conducted face-to-face, so he is sure to know what he’s talking about. Then, there’s the ‘sweepstake method’: put a bunch of stock names in a hat and pick a few out. It worked in last year’s Grand National, so it’s got a track record. You could also follow a newspaper’s tips, though don’t expect any thoughts or views about the stock it tipped last Sunday for months to come. All three of these methods will pick winners from time to time (the law of averages and probability tell us this), but for consistency you might like to consider how the experts make their stock and direction selections. Knowing how stock analysts come to their conclusions will help you to understand what they are saying and why they are saying it. Putting to use some of their methodology and reasoning will also allow you to start selecting your own stocks. In turn this will make investing a more enjoyable process, and more profitable – but remember: practice makes perfect. Analysts, professional investors, and traders use two types of analytical approach: fundamental analysis and technical analysis. 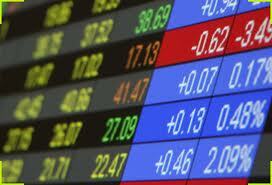 An analyst will compare stocks against other like-minded stocks, and also against the broader economy. He will use up-to-date data, speak to company management, and all this information will be used to form the basis of an investment recommendation: the buy, sell, or hold. Fundamental analysis examines the financials of a company. Of most concern are numbers such as sales revenue, profit, cash flow, etc. All these numbers can be used in various formulas to produce a standard set of ratios, and then these ratios can be used to compare different companies against each other, as well as note relative current performance against historic performance. Results and prospects can be measured by reference to profit margins, return on equity and return on investment ratios, as well as prospects for future earnings. Taken into consideration will be political climate, economic outlook, changes in laws and regulations, and also geographic influences (particularly when measuring the performance of multi-national companies). Fundamental analysis can be conducted on a top down basis, where emphasis is placed upon the economy, then business sector, then finally the individual company, or a bottom up approach where the order of importance is reversed. Those that adhere to the fundamental analytical approach understand that markets sometimes move by relatively large amounts on a daily basis, but believe that these moves are no more than background noise which should be largely ignored. Sentiment and fear drive the market on a day-to-day basis, but company fundamentals do not do so. Just because the market has fallen because of, let’s say a war between the two Koreas, and dragged down the share price of ABC does not mean the prospects for ABC have fallen off the edge of a cliff. The PEG is a forward looking ratio, because it is based on anticipated earnings growth. It is calculated by dividing the P/E by the projected rate of growth in earnings. This is almost a polar opposite approach to fundamental analysis (you can read more about technical analysis in our section here). Those that put their store in technical analysis don’t care about a company. What they care about is the price movement of its shares. Historic price action is charted to build up a picture of the pattern of price movement, and this pattern is used to predict future price movements, often short term. These charts can be in the form of bars, candlesticks, or lines and various standard chart indicators will give buy and sell signals. Technical analysis is much more about the sentiment of the market than the fundamentals of the market. Prices move on a daily, even minute by minute basis, and it is these moves that an investor using technical analysis will hope to profit from. Investment outlook is therefore much shorter term, and many day traders use technical analysis and charts to make trading decisions. The RSI will always fall between 0 and 100, a figure above 80 indicating an overbought position and the opportunity to profit by selling, and below 20 indicating an oversold position and the opportunity to profit by buying. The MACD is one of the possibly the most common price momentum indicator. It uses a short exponential moving average (ema – the running average over a set period of days, typically 12 days) and subtracts a long ema (typically 26 days) to calculate the MACD. This line is plotted over a period of time on a graph. Then a shorter ema (usually 9 days) is plotted on the same graph as a signal line. The crossing of the MACD by the signal line indicates turning points in the rise and fall of the share price – when the signal moves above the MACD it is considered a buy signal, and when it moves below it is considered a sell. Most commonly a bar graph of volume traded will accompany the MACD to help confirm these trend reversals. Leonardo Fibonacci formed this mathematical theory. Each number in a Fibonacci sequence is the sum of the two preceding numbers. The exciting bit is that the quotient of the adjacent numbers is about 1.618 (the inverse of which is 0.618). Not exciting, you say? Well consider this: everything in nature seems to be built around this proportion, and for this reason it is often called the ‘golden ratio’. In the markets, this golden ratio is translated to three percentages: 38.2%, 50% and 61.8%. One of the uses of these ratios is what is known as the Fibonacci Retracement. For passive traders, those that want their investments managed by someone else, understanding these methods of analysis and stock valuation will help to understand why portfolio values move up and down. For those that want a more active involvement in the management of their portfolio, then the choice of how to value stocks will depend upon investment and trading philosophy. You may wish to hold stocks for a long period of time, in which case fundamental analysis will be perfect, or enjoy the excitement of shorter term market swings, in which case technical analysis and a chartist approach might serve better. Some may combine the two, holding a long term position chosen for fundamental reasons and trading around that position with the noise identified by technical analysis. Whichever method you choose, remember that neither gives the complete picture 100% of the time. Also remember that the calculation of ratios depends upon the input of data, and one poor input (an error on a keyboard for example) can make a huge difference to a formula’s result.